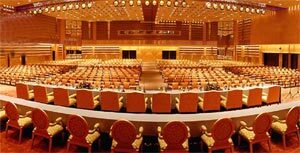 Besides the classical tours and other travel related products, Silk Road Group has aimed to MICE (Meeting - Incentive - Conference and Exhibition) as the potential market in the company's strategy given the fact that Vietnam, in recent years, has become one of the safest destinations in the South-Eastern region. Vietnam is becoming a prospective MICE tourism destination in Southeast Asia. MICE tourism means travelling in combination with attending meetings or conferences. MICE stands for Meeting, Incentives, Conferences/Congress, Events/ Exhibition. Destinations in Singapore, Bangkok, Jakarta and Kuala Lumpur have become familiar with MICE tourists; therefore they want to discover a new destination in Southeast Asia such as Vietnam. Vietnam Meeting and Incentive Club is proud to offer world class facilities set amongst stunning backdrops to our international MICE clients. The MICE industry in Vietnam has truly come of age over the last couple of years as it has hosted major conferences such as the ASEM5 summit, the Asocio ICT Summit and ATF as well as events for names such as DHL, Motorola Asia Pacific, VISA Asia Pacific, Volvo and Baker McKenzie. 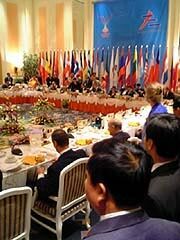 And in 2006 Hanoi will host APEC in a state-of-the-art new convention centre. Vietnam's many advantages, such as beautiful beaches along its coast and many world-class cultural and natural heritages throughout the country, provide a lot of chances for expanding MICE tourism, especially at a time when the country is deeply integrating into the world's economy. The International Congress and Convention Association (ICCA) stated that, Vietnam is emerging as a safe destination in the world and an attractive place for foreign investors. It is urgent to found a professional organisation for this new kind of tourism and call for investment in the construction of world-standard fair and exhibition centres and international conference centres. These are important measures to boost the development of the tourism industry of Vietnam in the coming years.